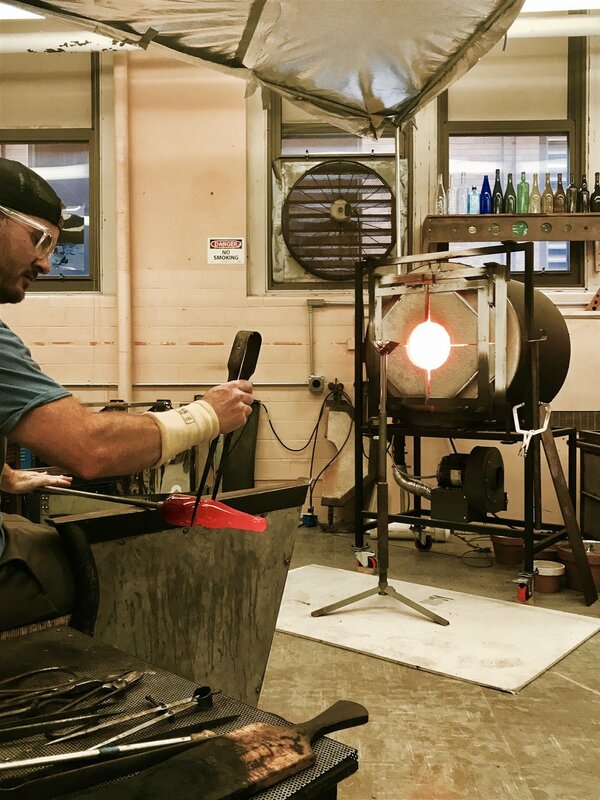 The garage doors are going up on a Wednesday at the Cannery, this time for an awesome live glassblowing demonstration by Remark Glass, a glassblowing studio over at the Bok building. Remark makers create beautiful pieces from used bottles - beer, wine, spirits, growlers, Carlo Rossi jugs, you name it - and they're going to be turning a bunch of Dock Street beer bottles into tumblers and tasting glasses as you, appropriately, sip beer and cocktails while you watch. This is free to watch, but tickets are strongly encouraged, to a.) guarantee you space in the Cannery for the demo and b.) to support the artists, cover equipment fees, and reward yourself with a handmade piece, and a beer. Each ticket option includes a bottle of Dock Street Rye IPA or Dock Street Bohemian Pilsner to enjoy while you watch our bottles being turned into functional glasses. Tickets also include your choice of two or four 5.5oz tasting glasses or one or two 12oz tumblers to take with you before you leave. Additional items from Remark will also be available for sale during this event, and some of the items they make during the demo will be for sale, as well - if they cool down in time.